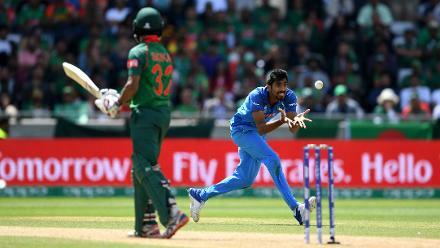 Bhuvneshwar Kumar got India off to a perfect start, first dismissing Soumya Sarkar in the first over for 0, and later Sabbir Rahman to leave Bangladesh stuttering at 32 for 2. 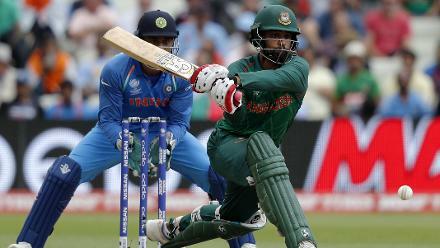 Tamim Iqbal rode his luck, scoring a fighting 70 in 82 deliveries stitching a crucial 123-run stand with Mushfiqur Rahim (61 )for the fourth wicket. But Kedar Jadhav, the surprise package of the day snaffled both of them up in quick succession to stall Bangladesh's progress. 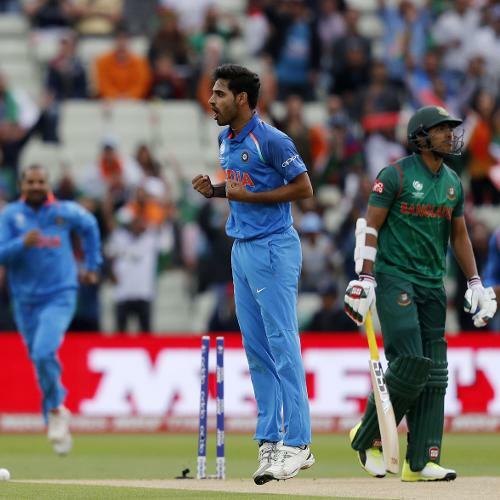 Jasprit Bumrah was the pick of the Indian bowlers picking up 2 for 39 in his ten overs. 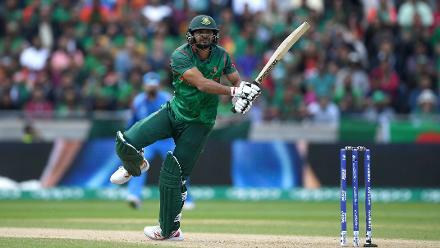 Mashrafe Mortaza smashed a quickfire 25-ball 30 with five boundaries to help Bangladesh reach a respectable 264 for 7 in their 50 overs. 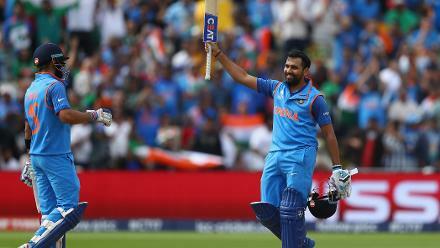 Rohit Sharma slammed his eleventh century, scoring an unbeaten 123 in 129 deliveries studded with 15 fours and a six. 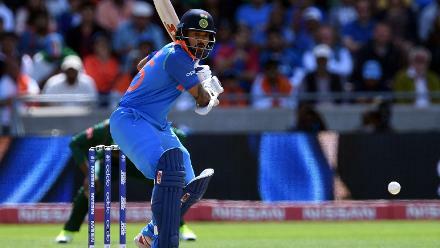 Virat Kohli was at his imperious best, as he scored a 78-ball 96 which included 13 hits to the fence, also in the process reaching the milestone of 8000 runs, the quickest batsman to do so in One-Day International history. 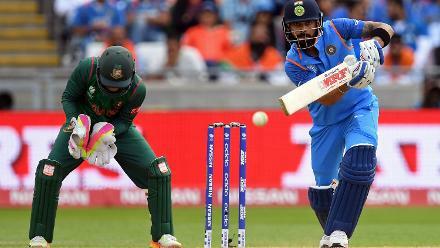 India was in cruise control throughout the chase, as they strolled past Bangladesh's total in 40.1 overs, winning by nine wickets and booking a spot in the Final.